The article below by Professor Joan Roelofs appeared in the print edition of CounterPunch Vol. 25, No. 3. In 1961 President Eisenhower in his last public address to the American people warned us about the danger to democracy and accountable government presented by the military/industrial complex. You can imagine how much stronger the complex is 57 years later after decades of Cold War with the Soviet Union. The Russian government, Russian media, and Russian people desperately need to comprehend how powerful the US military/security complex is and how it is woven into the fabric of America. No amount of diplomacy by Lavrov and masterful chess playing by Putin can possibly shake the control over the United States exercised by the military/security complex. Professor Roelofs has done a good deed for the American people and for the world in assembling such extensive information documenting the penetration into every aspect of American life of the military/security complex. It is a delusion that a mere President of the United States can bring such a powerful, all-pervasive institution to heel and deprive it of its necessary enemy. For many people the “military-industrial-complex (MIC)” brings to mind the top twenty weapons manufacturers. President Dwight Eisenhower, who warned about it in 1961, wanted to call it the military- industrial-congressional-complex, but decided it was not prudent to do so. 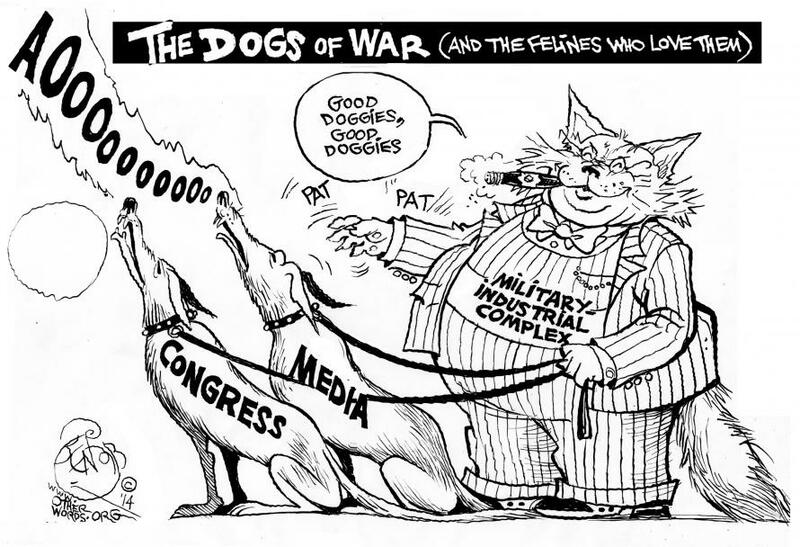 Today it might well be called the military-industrial-congressional-almost-everything-complex. Most departments and levels of government, businesses, and also many charities, social service, environmental, and cultural organizations, are deeply embedded with the military. 5. the “multiplier” effect: subcontracting, corporate purchasing, and employee spending perk up the regional economy. It is ideally suited to Keynesian remedies, because of its ready destruction and obsolescence: what isn’t consumed in warfare, rusted out, or donated to our friends still needs to be replaced by the slightly more lethal thing. Many of our science graduates work for the military directly or its contractee labs concocting these. The American Association of University Women’s National Tech Savvy Program encourages girls to enter STEM (Science, Technology, Engineering and Math) careers, with sponsorship from Lockheed, BAE Systems, and Boeing. Junior Achievement, sponsored by Bechtel, United Technologies, and others, aims to train children in market-based economics and entrepreneurship.